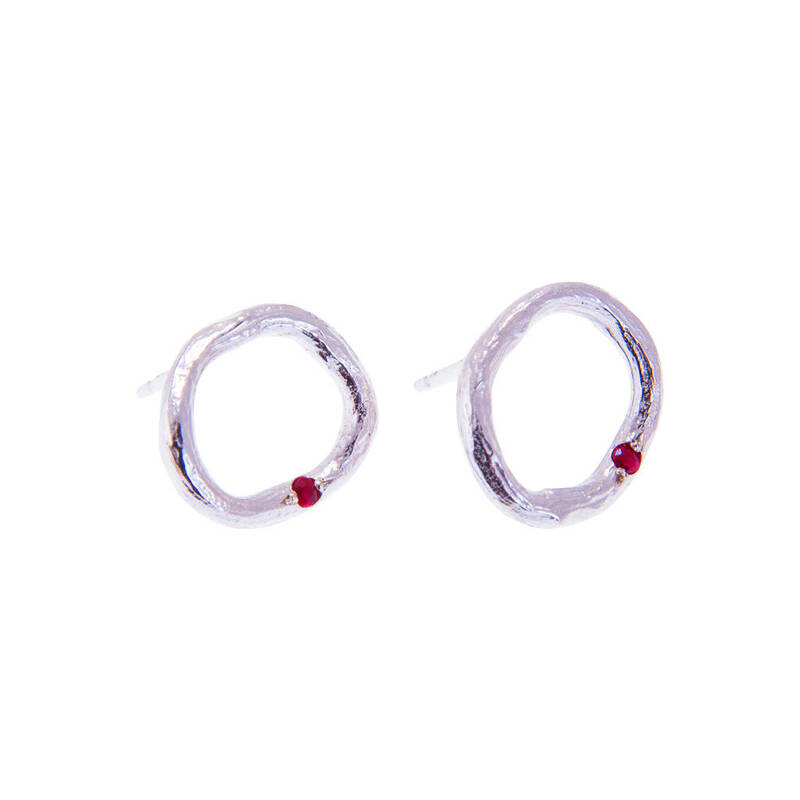 This simple pair of oval silver earings are punctuated with a small, but bright, Burmese Ruby. 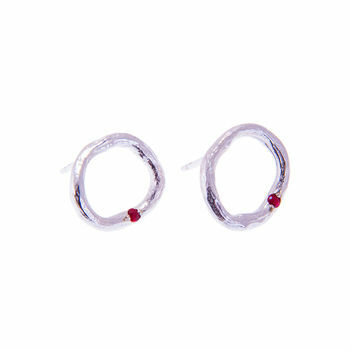 This pair of earrings in natural Ruby will make the perfect gift for a ruby wedding.Ruby is the birthstone for July. This particular design has been made with variations of gemstone choices in mind . Because of the small scale of the gemstone, quality is of a premium. I am always more than happy to entertain any enquiries you may have regarding choice of precious matals. 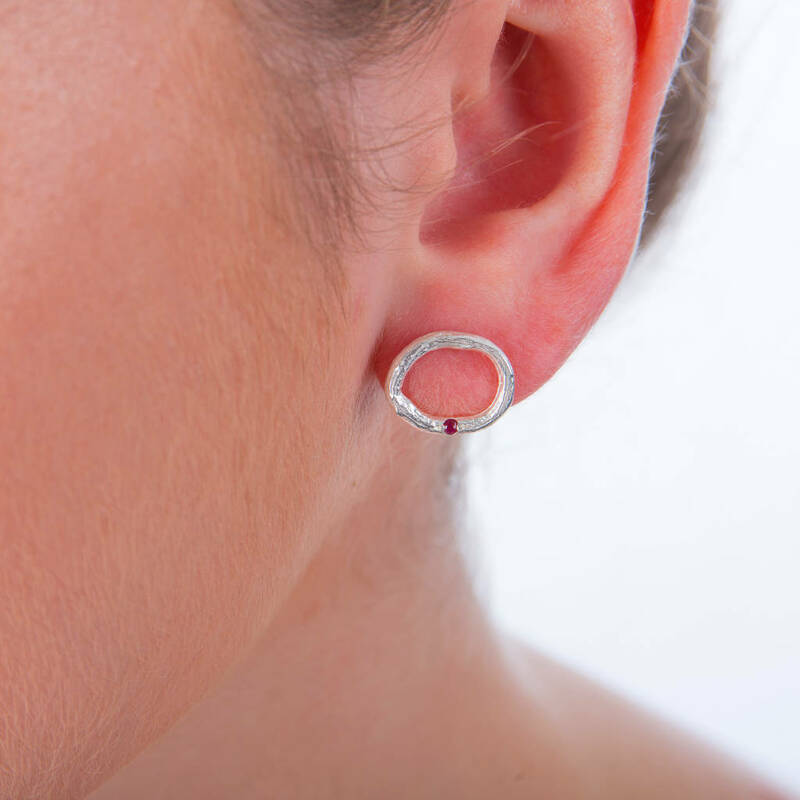 As with all jewellery, avoid contat with household products.